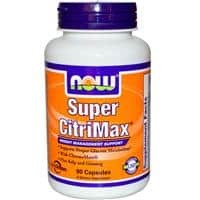 As a dietary supplement, take 1-2 capsules 1 to 3 times daily, preferably 60 minutes before meals. Consider taking these other NOW products: MCT Oil and Gymnema Sylvestre. Gelatin (capsule), magnesium stearate (vegetable source) and stearic acid (vegetable source). Caution: For adults only. Consult physician if pregnant/nursing, talking medication, or have a medical condition. Keep out reach of children.